Sculpted by Michael Thorp for our pirate competition. Stalks is a friendly looking chap but appears well armed with a nasty-looking blunderbuss. 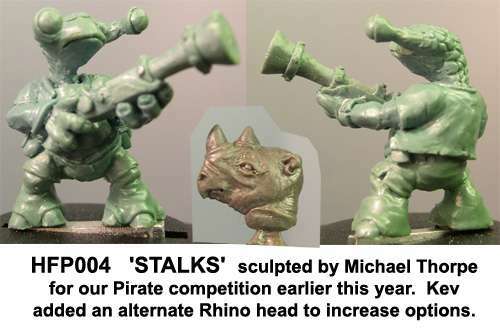 Kev sculpted an alternate Rhino head as he felt that it would fit well with the figures' general anatomy.